There are a number of items available through the "Angel's Directory". If you are interested in receiving these items, free of charge, please contact Bernita Glenn @ 773-355-6680. Thank you. 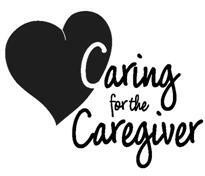 Caregiver Tip #26—Dear Caregiver - Know that God wants you to know that you are useful for His kingdom. There is no such thing as an insignificant person to Him. You are important in God's eyes and He has an incredible plan for your life. Remember: We are His workmanship, created in Christ Jesus for good works which God prepared beforehand so that we would walk in them. Ephesians 2:1 Be encouraged, be blessed and continue being a blessing.